Team members at Everything Dinosaur, the UK based dinosaur company staffed by parents, teachers and real dinosaur experts are busy packing and dispatching all the Christmas orders. 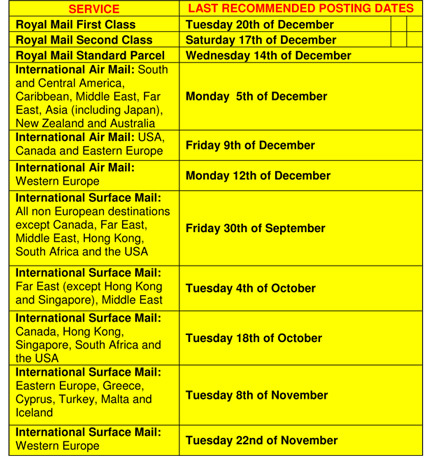 The staff do all they can to ensure packages and gifts are sent out as quickly as they can, however, to avoid disappointment at Christmas it is worthwhile adhering to the international last recommended posting dates as provided by Royal Mail. Tomorrow, for example, is the last recommended posting date for parcels from the UK to the United States, Eastern Europe and Canada being sent by Airmail service, to get there in time for Christmas day. We urge all our customers to take note of these important last recommended posting dates. Naturally, some parcels, if posted after these dates may still arrive in time but to avoid the worry of having a parcel delivered late it is better to adhere to the guidelines. Post as early as possible is the best advice our team members can give customers. These dates apply to all parcels and goods sent overseas or by inland mail (UK), by abiding by them senders of such parcels can have a much better chance of getting their gift to the recipient in time for the big day.